Apples 1986 Clothing Line | Shelby White - The blog of artist, visual designer and entrepreneur Shelby White. 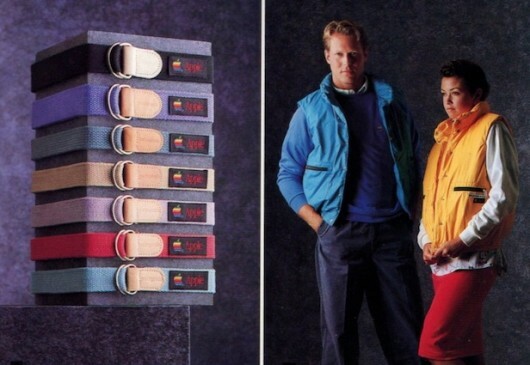 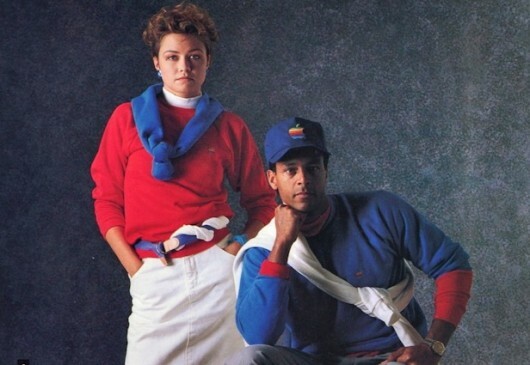 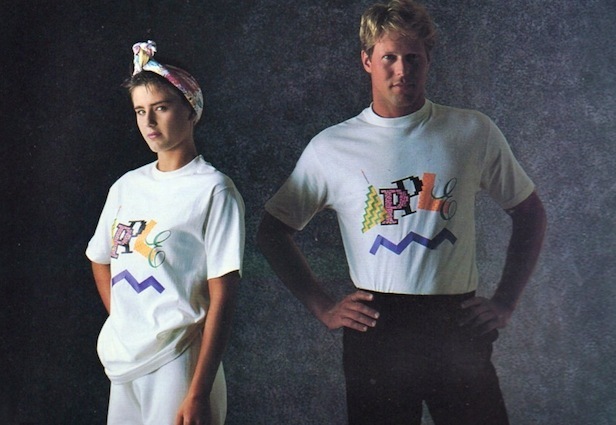 Apple’s 1986 clothing line was known as “The Apple Collection”. 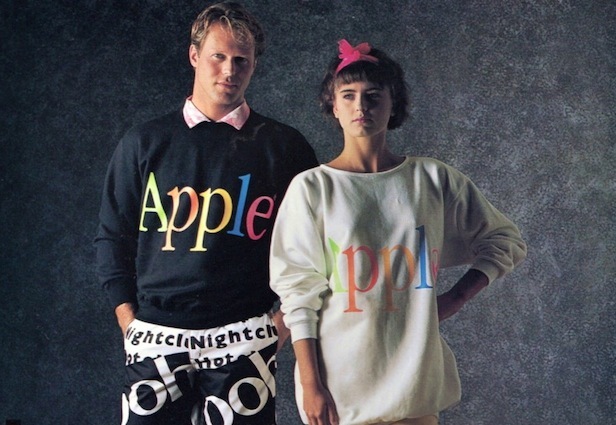 Thankfully Apple found their logo sooner than later because readability on most of these t-shirts is very low. 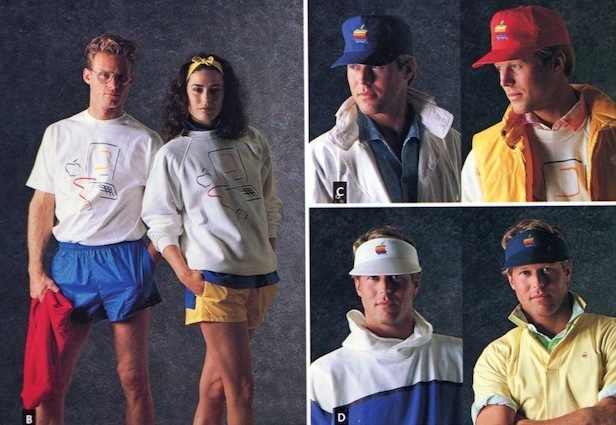 Although, I’m all for sporting that blue Apple tracksuit. 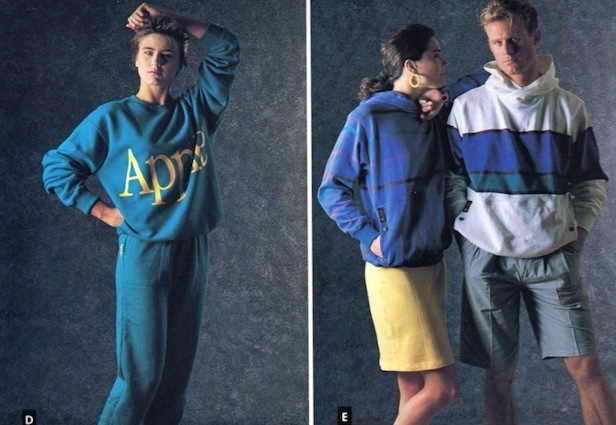 I NEED that turquoise sweat suit.